The historic first test of the system. Happy Pentecost! (Strip-by-strip commentary was updated in 2008.) VERY early from-memory Integra sketches, as evidenced by the tucked-in scarf. 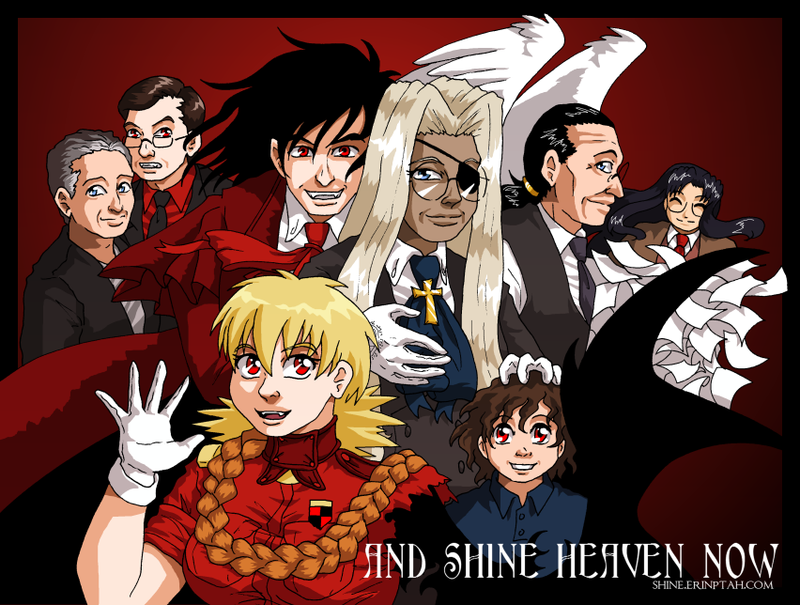 There are a lot more Hellsingpuffs these days.